Where do I even begin, pet? 1. For starters, we have the best pet names for each other. Duck, hen, pet, chuck, and love are all perfectly legit. 2. Our mutual love for a good cuppa tea is almost stronger than our love for each other. We have our priorities straight. 3. And we know that saying "hello" to strangers on the street is a normal and polite thing to do, not a criminal offense. 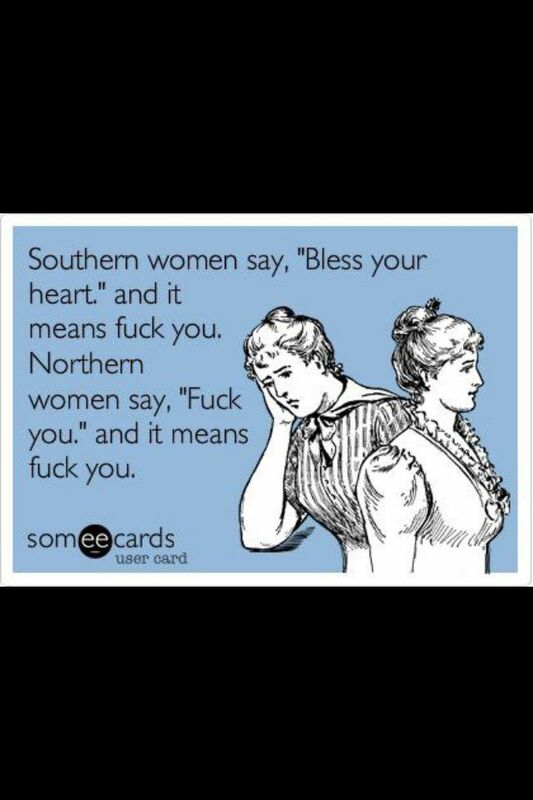 Suggestion, Southerners: Just say "hi" back. 4. Which means that when we visit London and nobody makes eye contact on the tube, we can be equally appalled together. Why are people so anti-social underground? 5. We save a fortune on heating bills because we know what the cold really feels like. Besides, we have more sensible suggestions when it comes to keeping warm. 6. Talking of the weather, we've learned to never to rely on the sun turning up on our dates, so we have a long list of all-weather date plans. Like building a blanket fort, obviously. 7. Unlike when you’re in the early stages of dating a Southerner, there are no, “Are you sure a fourth drink is good idea?” style questions asked. 8. Because our dates in the pub come in at under £20. Which means there's change to spare for a kebab on the way home. 9. Our arguments are precise, honest, and to the point. We're a pretty stress-free bunch. 10. And we know that couples beach holidays in Scarborough and Whitby are just as good as those in Devon and Cornwall. And we always have way more money left over for the 2p machines. 11. We also know that shopping in places like Leeds and Liverpool is just as good as shopping on Oxford Street. It's just a bit less busy. That's all. 12. The middle-aged men in our families are some of the most practical, wise men you’ll ever meet. Northerners are born with the ability to put up a shelf, erect a shed, and tell the difference between 67 different drill bits. Fact. 13. We have the best banter. And by God we are good at innuendos. 14. And we’re never more than half an hour away from the perfect countryside spot for a romantic picnic. 15. Our girls mean what they say. You always know where you stand with a Northern lass, and what's bad about that? 16. And our boys are fazed by nothing. What's a bit of flood water between mates? 17. We get to have Jon Snow and Ygritte for our #relationshipgoals. 18. We’ll save a fortune on houses, because we know that buying in the North is the only sensible option. A 7-bed mansion in Huddersfield for the price of a 2-bed flat in Tooting? Oh go on then. 19. Same goes for saving money on having a local wedding one day. Please, do tell us again how grim it is up North. 20. Basically, we're in total agreement about not living in London, and we get equally frustrated when people question us on it. Um, because we're not millionaires right now? 21. And no matter what anyone says, we know that we're the best.